Well, I’m back and I seem to have brought back some sunshine – not as warm as California sunshine but very welcome nontheless. I managed to twist my knee playing tennis on the my last day so the 10 hour journey home in my cramped seat, followed by a 3 hour drive home to Dorset was really uncomfortable and painful. It was a price worth paying though for the wonderful time I spent in Venice, Los Angeles. It’s hard to pick out a highlight as I have so many happy memories but certainly one great day was spent at the J.Paul Getty Museum where we went to see an exhibition by the Italian sculptor Bernini, but also saw an astonishing exhibition of photographs by a German photographer called August Sander, which I thought was truly magnificent. Here are some photographs which #1 son and I took of the museum and gardens. 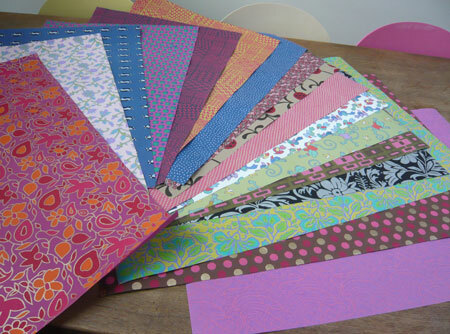 I also made a pilgrimage with my very patient friend, Claire, to Paper Source and stocked up on very lovely paper so expect a new burst of bookbinding activity! I went to a party at the home of the composer Michael Brook and his wife, Julie. Michael writes wonderful music , including the scores for the movies ‘An Inconvenient Truth’ and ‘Into the Wild’. 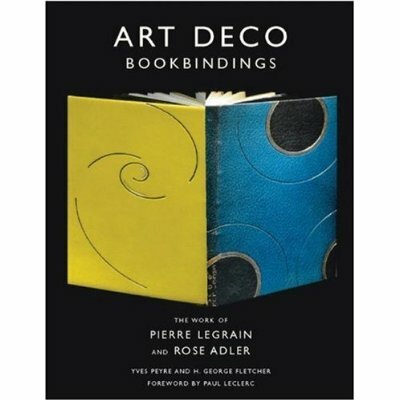 He showed me a beautiful book about the work of Pierre Legrain and Rose Adler whose Art Deco bookbindings are absolutely exquisite and very inspiring. I found the book on Amazon and have ordered it, I’ll show you some photographs of these fantastic leather bindings, when it arrives. Claire and her husband, Colin and I went to a great restaurant in Culver City called ‘Vinoteque‘. We had a great meal which was also a tutored wine tasting, comparing Old World and New World wines. The food was tailored to match each wine and it was so interesting to see how the wines complemented and added to the wonderful food. The wine tasting was followed by the US equivalent of a ‘pub quiz’. Astonishingly, our team, ‘The True Brits’ came second and we won a $10 voucher towards a future visit! The Handbag Tag is from ECL and here are the rules. 1. 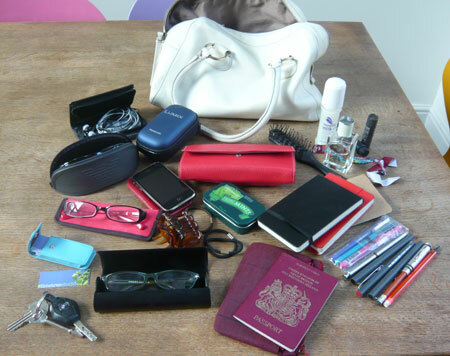 Dump the contents of your handbag in a pile. 2. Take a photo of your handbag and the contents. 3. Be brave and ‘splain to your fellow bloggers what lurks inside the handbag. 4. Tag others who might want to embarrass themselves. 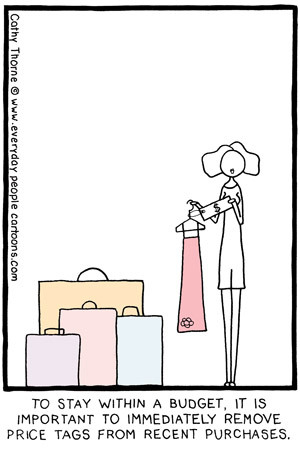 Describe the contents of your handbag. See my list below. Purse, iPhone, earphones in wallet, camera, spare battery and memory card and case, sunglasses, reading glasses and spare pair, car keys, my Moo card mini cards and wallet, tin of M&S mints, Japanese wallet full of photographs of my boys and my passport, 3 Moleskine notebooks, 7 pens – various colours, 2 pencils, (1 automatic, 1 with sharpener and eraser), Prada perfume, lip balm, travel tooth brush and paste, mosquito repellant, hairbrush, Glastonbury Festival wrist band, various hair ties and clips. What’s the most embarrassing thing in your handbag? Too many pens, pencils and note books! Too much everything! So there you have it, I’m going to tag all my commentators, male and female. Show us your handbags, purses, briefcases, wallets, holdalls whatever. PS You may notice that the menu at the top of my blog is looking a bit untidy. I have expanded the tutorial page to include a gallery of all my books (130 in the slide show I’m afraid!) as I realised that readers who were coming to my blog following ‘bookbinding’ links were probably hard pressed to actually find any, so I decided to include the gallery. Now just need to sell some of the buggers! Here I am in Venice, California, the sun is shining (as it has done for my entire stay) and I am having a ball. I have played tennis, eaten great food, been given incredible hospitality by some generous friends, been on a bike ride along the beach from Marina del Rey to Santa Monica, listened to wonderful live music, shopped, played with adorable children, hosted a party, watched tennis (Yay! for Andy Murray!) and seen a great movie (which incidentally also introduced me to my newest crush – of whom more later!) 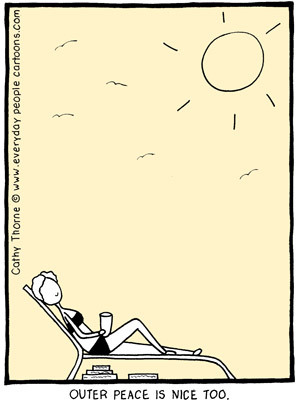 It’s surprising how energized and well, happy, I am, just being in the sunshine. It’s no wonder people are generally so friendly and sociable – how can you be anything else when the weather is so cheerful! The film I went to see with my friend, Claire, was Woody Allen’s new film ‘Vicky Cristina Barcelona’ starring Scarlett Johannson, Rebecca Hall, Penelope Cruz and my new crush, Javier Bardem. Claire, who you may remember I have mentioned before in this blog, has written a very funny book called ‘Plus One – A Year in the Life of a Hollywood Nobody’ (she also has a great blog) and the exciting news is that it is being made into a movie as we speak! Called ‘The Making of Plus One’ (check it out in the Internet Movie Data Base here) it is a movie about the making of the movie of the book (still with me?) and the brilliant news is that Claire and her sister Julia Fordham, get to make a cameo appearance in the movie, playing themselves. They are flying out to the South of France to film their bit next month. Gosh! I actually know a movie star! Two even! That’s even better than meeting (well, gazing across the room at) the great Harry Shearer (of Spinal Tap and Simpsons fame), Victoria Tennant (who starred in one of my favourite movies ‘LA Story’ with her ex-husband, Steve Martin. And, Kim, incidentally, she is your favourite ballet dancer, Irina Baranova’s daughter!) and meeting Robert Shaw’s daughter and Tess Harper, who played Tommy Lee Jones’ wife in ‘No Country for Old Men’. 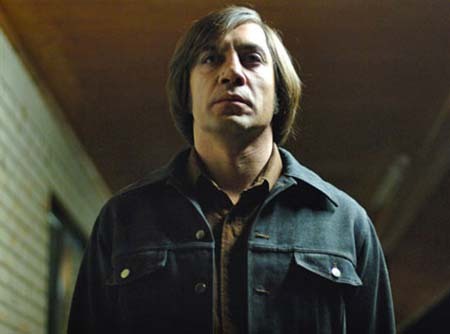 It just occurs to me that means she has met Javier Bardem. I have sat next to someone who knows Javier Bardem!! Here she is with luscious Javier at the end on the right. I am back from Mallorca, rested and with Vitamin D stores replenished. I seriously think I was suffering from SAD (seasonal affective disorder). I’m normally a fairly cheerful soul – everything is fine (until it isn’t!) but I had started to feel that things most definitely were not fine any more – hence my visit to Mallorca. I’ve not really had chance to catch up since I got back so I apologise if I have missed anything vital! I think I may have missed a few tags – if I have – sorry, I’ll try and get to them when I can. I must confess that part of the problem has been my obsession with the Olympics – I have been glued to the TV watching all sorts of weird and wonderful sports and rooting for any one who took my fancy if there were no Team GB athletes involved. I am quite bereft now it is all over. It was a wonderful Games, the spectacular facilities, a wonderful backdrop to some truly stunning sporting performances. Now it’s up to London to produce a good Games in 2012. Fingers crossed. Clothes shopping makes me happy so to continue this cheery vibe, watch this video it combines two of my favourite things – paper and babies! PPS – Just found out about this film, ‘Burn after Reading’. I HAVE to see this, it is the new Coen brothers film (love the Coen brothers’ films) and it stars George Clooney (and you all know how I feel about HIM), Brad Pitt (take him or leave him – am I the only person who thinks he is the WORST comedy actor? Think of his guest appearance in ‘Friends’ – useless) and John Malkovich (weirdly gorgeous) and two great female leads, Frances McDormand and Tilda Swinton. Here is a trailer. Maybe it will be on in Los Angeles…. You can also find me at…. My blog is worth $358,482.90.